Dr. Julie Buzby, DVM, a member of Grey Muzzle's Advisory Board, is a practicing integrative veterinarian who seeks to blend the best of Western medicine, alternative therapies, and creative tools for maximum wellness in her patients. This article was originally feature on: https://www.toegrips.com and is reprinted with her permission. When is a dog too old for anesthesia? Losing a patient under anesthesia is 1000% horrible—no silver lining. A decade ago, I lost a patient named Teddy under anesthesia. Teddy was probably over 100 in “human years”, which, of course, was a concern as we considered anesthesia for an elective procedure. His mouth was a bowl of pus soup, so it was my professional opinion that the benefits outweighed the risks for Teddy having a complicated dental procedure involving over a dozen extractions. For sure, I can say it’s what I would have done for my own dog. Teddy’s mom agreed that he was in a lot of pain and that the anesthesia for oral surgery was a risk worth taking. He might have been in his golden years, when many argue anesthesia is just not worth it, but the hope of eliminating his pain made the decision obvious. I contacted board certified anesthesiologists before the surgery to discuss my concerns and formulate a customized anesthetic protocol based on Teddy’s age, lab results, and physical condition. Veterinary anesthesia is typically induced with an IV Injection, just like with humans. The procedure took over two hours and Teddy’s vital signs were textbook. No red flags. I worked as swiftly as I could to extract the abscessed teeth and suture the flaps of gum left behind. Meanwhile, my conscientious technician monitored Teddy’s anesthetic depth, heart rate, respiratory rate, temperature, blood pressure and blood oxygen levels, and we made adjustments in Teddy’s anesthesia accordingly. She carefully recorded this data every few minutes on a chart, which she held on a clipboard, so we could monitor trends. Finally, I tied the last suture and stood up to stretch my aching back. I’d been leaning over Teddy’s mouth for hours. “Done!” I shouted in triumph. I expected this surgery would be life changing for this dog. I knew that he would have a few rough days, during which we would be aggressive with a cocktail of pain medications, but then, as he began to move into the healing phase, I truly believed he would be a different dog—acting years younger. 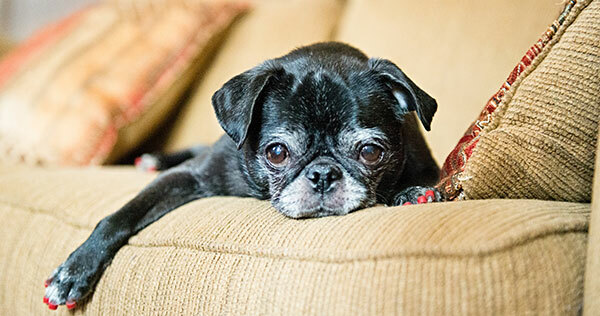 Major dental work can be a fountain of youth for senior pets. I had witnessed this transformation dozens of times and I couldn’t wait to watch him bloom. While I was dreaming of his bright future and stomping my numb leg, the technician turned off the anesthetic gas. This allowed Teddy to breathe pure oxygen from the machine as we cleaned up his mouth, which was standard procedure. Seconds later, Teddy veered off the normal path of recovery. Instead of slowly waking up…Teddy died. He was still connected to all of our monitors, and their alarms began to scream. He had no heart rate, no pulse, and no respiratory rate. We immediately began chest compressions and breathing for him through the anesthesia machine. All hands were on deck as drugs were drawn up and pumped into his veins, and even right into his heart. As the scene unfolded, my mind jumped to Teddy’s family. Here he was, dying in my care, and his family was elsewhere, going about their day, unaware of the crisis. It wasn’t right for them to be out of the loop; they needed to come immediately. My receptionist got a family member on the line so I could briefly alert them that Teddy had taken a turn for the worse. By the time they arrived, Teddy was officially gone. The grief in our office was palpable, shrouding the soul of every one of us in the building. I will never forget the reaction of Teddy’s parents, which I was dreading. They wept with us, and extended an incredible amount of grace. They knew we did our best and told us so. Once again, I reached out to the same specialists who helped me strategize the anesthetic protocol we had used for Teddy. I explained the entire story and provided the data which we had charted on the clipboard. They all arrived at the same conclusion—Teddy had most likely suffered a pulmonary embolism—a clot which blocked blood supply between the heart and lungs—which we couldn’t have foreseen, nor was there anything we could have done. But that didn’t change that fact that Teddy was gone, and I had been responsible for his life that afternoon. While this situation was incredibly tragic, what happened to Teddy is not common. Studies show that approximately 99.9% of healthy dogs that are anesthetized live to tell about it. While it’s true that age and infirmity are risk factors that make the odds less rosy, through custom-tailored anesthetic protocols and diligent monitoring of patients under anesthesia and in recovery, I believe the rewards often outweigh the risks. 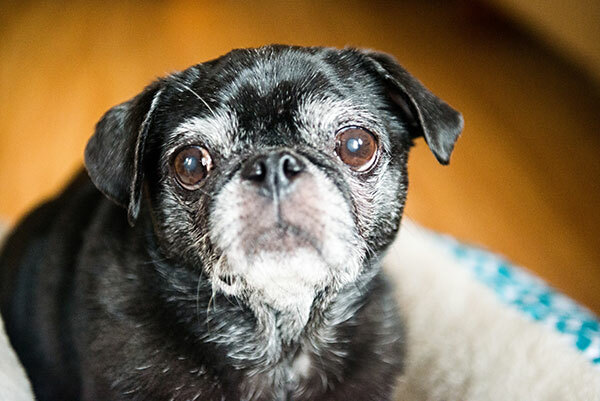 Caring for a senior pet often means time for difficult choices. I’ve been transparent about a situation that haunts me to this day, but please don’t miss my take-home message: Age is not an excuse to do nothing. I believe this is a message even Teddy’s parents would preach. Living in chronic pain was not good enough for Teddy, for Teddy’s family, or for me. We had the opportunity, and good odds, to dramatically change Teddy’s quality of life for his remaining days, months, and years. If I had the same odds, I would have made the same choice. 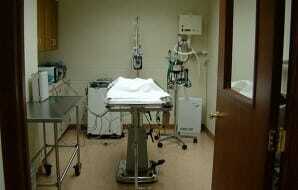 Age alone should not be the only factor that shuts the door on the possibility of anesthesia. I’m surprised by the number of people who tell me their dog must live in the status quo of “dis-ease” because “they are too old to do anything about it.” While certain conditions make the risk of anesthesia far greater than the reward, AGE ALONE is not the ONLY factor that shuts the door on the possibility of anesthesia. If you’ve been nervous about anesthetizing your senior pet for a recommended procedure, your homework is to have a frank discussion with your vet about your concerns and the risk-reward ratio. About the Contributor: Dr. Julie Buzby, DVM is a practicing veterinarian and a member of Grey Muzzle's Advisory Board. After graduating from veterinary school, Dr. Buzby earned certification by the American Veterinary Chiropractic Association in 1998, and by the International Veterinary Acupuncture Society in 2002. As an integrative veterinarian, she seeks to blend the best of Western medicine, alternative therapies, and creative tools for maximum wellness in her patients, the majority of whom have grey muzzles. After years of frustration watching her patients struggle on hard floors, Dr. Buzby also developed Dr. Buzby’s ToeGrips for dogs, devices which improve mobility in dogs by providing them with better traction.